Who has time to invest in talent brand? You’ve got candidates to find, recruit, interview and hire. And even if you had the time, good luck convincing your boss of the impact! If the above rant sounds like you, lean back and listen up. We dug into our LinkedIn data to determine how talent brand makes a difference in a recruiter’s ability to attract and hire talent. First, we quantified what a “strong” talent brand. To do this, we used the LinkedIn Talent Brand Index (TBI), which indexes the talent brand strength of every company on our network. Next, we compared companies with a strong TBI score and those with a weak TBI score. What we found was very telling—there are stark differences between what companies with a strong talent brand and weak talent brand can accomplish. Which is easier—breaking the ice with a complete stranger or someone who already knows a few things about you? Most people would choose the latter, and the same logic applies with talent brand. By increasing company awareness, candidates are more likely to respond to your InMail and continue the conversation. They are more likely to already trust you as an employer, and will have a stronger sense of whether they want to work with you. Below you can see how average InMail response changes depending on whether the recruiter works at a company with a strong or weak talent brand. In business, everything comes down to the bottom line. 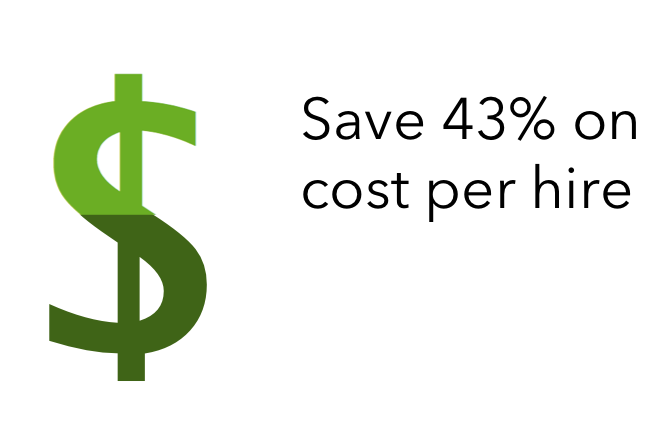 Recruiting is no different, which is why investing in your talent brand makes good fiscal sense. We looked at our current LinkedIn customers with a strong TBI, and compared how much they spend to make a hire on LinkedIn (everything from a job posting to sponsored updates) with the amount our customers with a weak TBI spend to make a hire. We found that our customers with a strong talent brand spend, on average, 43% less to make a hire on LinkedIn than our customers without a strong brand. Turns out, the stronger your talent brand on LinkedIn, the less you need to spend on LinkedIn to make a hire. Candidates are more likely to proactively research your company when they’ve heard or seen something about your company that attracts them. By growing your brand, you’ll spend less money creating awareness for your company, and more time sorting through applicants. 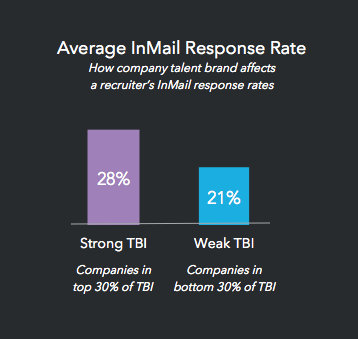 Companies on LinkedIn with a strong TBI actually grew faster than their counterparts with a weaker talent brand. Why? Companies who can attract more talent, can also hire that talent faster. To determine this, we looked at the percentage of a company’s employees that were hired in the past year. Budget and headcount could impact this data, but a 20% increase is beyond a statistically significant difference. Investing in talent brand warms up your talent pool so you spend less time selling and more time closing candidates. 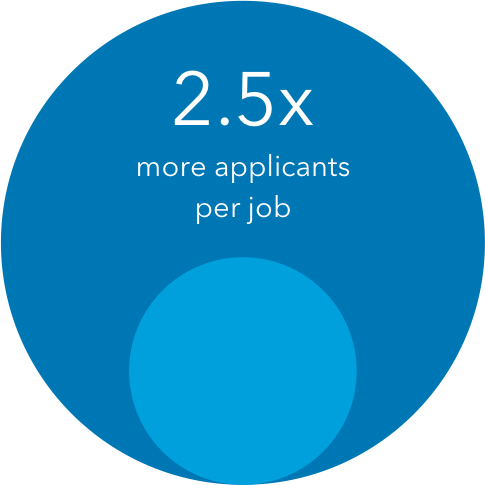 Here’s the money stat—companies with strong TBI see 2.5x more applicants apply to each of their open roles. Why? Because the more attractive your company is as a place to work, the more people get in line for an opportunity to work with you. What makes it even better is that these applicants also tend to be better qualified, because they have a higher level of familiarity with your company culture and values. 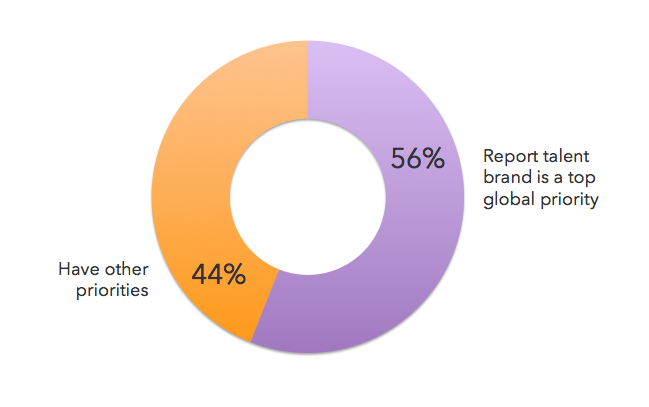 In our 2015 Global Recruiting Trends report, we found that 56% of global talent leaders are prioritizing talent branding for their company this year. 56% leaves plenty of room to grow, but clearly the industry is catching on. 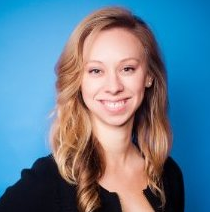 As a savvy talent professional, be an advocate for the importance of talent brand and lead your peers by example. The math behind the value of talent brand speaks for itself—so what are you going to do about it?